Kelsie Longerbeam and Wyatt Haupt Jr.
A fire forced 16 people from an Incline Village vacation home on Sunday, Feb. 4. 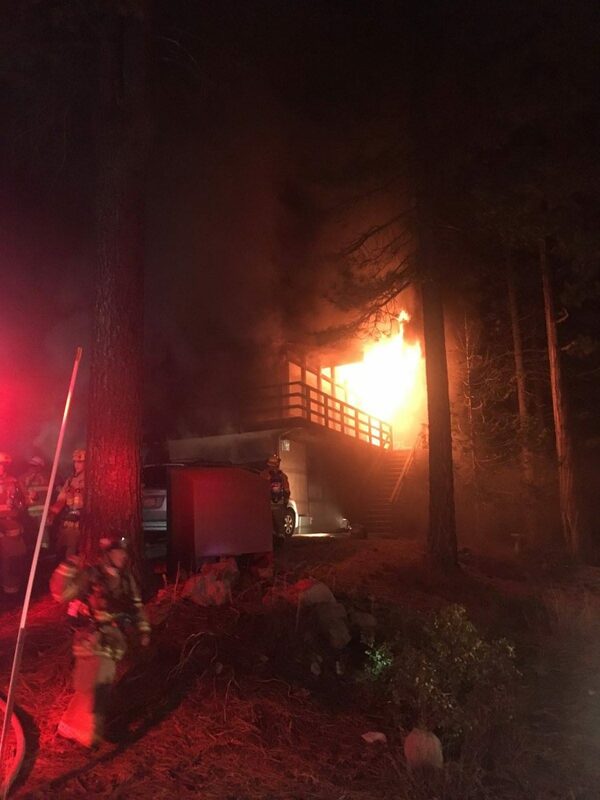 A fire at a vacation rental home in Incline Village forced the evacuation of 16 people, who were staying at the residence, authorities said. The fire was reported shortly after 5:30 a.m. on Sunday, Feb. 4, in the 500 block of Spencer Way. One adult was treated for a medical issue at the scene and released. Nobody else was injured. At the time of the blaze, there were eight adults and eight children in the home. “The fire was quickly contained and extinguished and all occupants were able to evacuate safely,” the North Lake Tahoe Fire Protection District said in a Facebook post.